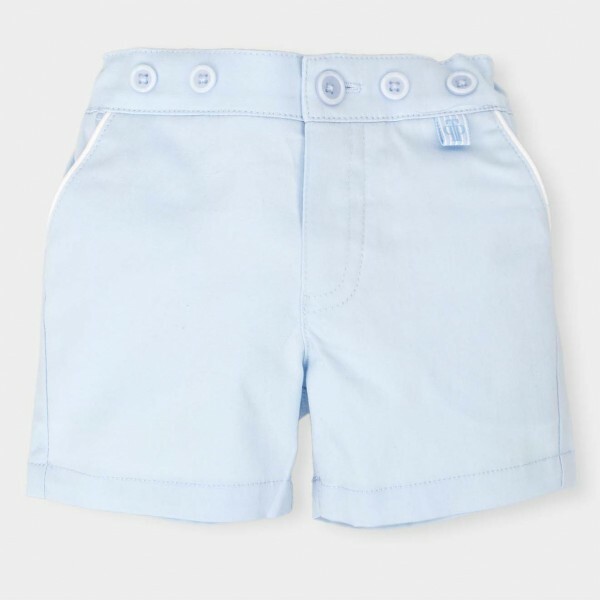 These cute blue bermuda shorts are a must have for any summer wardrobe. Beautifully made in a cool cotton mix, they’re styled for the summer, and they’ll lift any outfit, smart or casual. Team them with a shirt and a summer hat and your warm weather outfit is complete! They’re a great choice for the warm weather - you can style them up or down effortlessly. The mix of soft materials will ensure he is kept comfortable and cool. The soft blue colours are the perfect compliment to the tones of the summer.